On Wednesday, March 20, 2019 at approximately 3:53 A.M., Merced Police Department Officers responded to a report of a carjacking that occurred in the area of “Q” Street & W. 5th Street in Merced. Officers made contact with the male victim who told them he had met up with an individual, later identified as Ernesto Antonio Zaragoza Guzman (19, Merced). As the two of them were sitting in the victim’s vehicle, Guzman motioned like he had a gun and told the victim to get out of the car. Guzman then fled the area with the victim’s vehicle. In the early morning hours of March 21, 2019 officers spotted the carjacked vehicle driving in the area of “O” Street and W. 11th Street. When officers attempted to stop the victim’s stolen vehicle, a short pursuit ensued. The stolen vehicle collided into a fence and the occupants of the vehicle ran from the scene. The suspects were not located at this time. Ernesto Antonio Zaragoza Guzman was identified as the driver of the vehicle at the time of the pursuit. Guzman was also identified as the suspect who originally carjacked the vehicle. On March 21, 2019, officers served a search warrant at Guzman’s residence, in the 900 block of W. 12th Street, Merced, where he was arrested for the carjacking. Ernesto Antonio Zaragoza Guzman was later booked into Merced County Jail for carjacking. 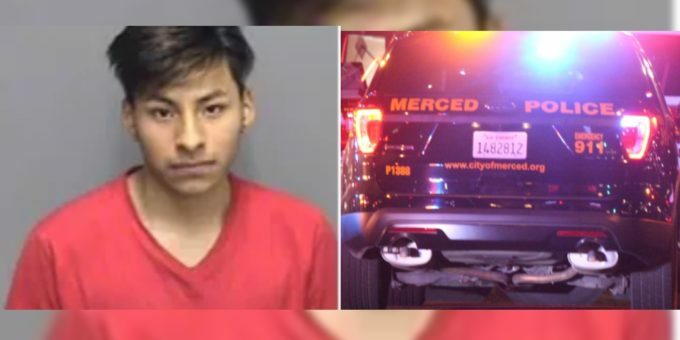 Merced Police are asking anyone with any information regarding this crime to contact the Merced Police Department at (209) 385-6912 or the Merced Police Department Tipster Line at (209) 385-4725. The public can send information via anonymous text messages to police department by dialing “TIP411” (847411) and including the word “Comvip” as the “keyword” in the text message.